Home Social Trends VIRAL: THINK TWICE, ANG BILIS NG KARMA! These two girls skipped the queue and guess what!? This one is the best sample of the saying "KARMA is a B*TCH". Though Rommel Aguilar Buhay just shared his frustrations on what happened between them and these two ladies through his Facebook account, his post goes viral in Social Medias. Thank you for sharing this with us Rommel Aguilar Buhay! Below is the original post of Rommel Aguilar Buhay. "I rarely post anything like this but these two f*ck*rs made me snap. I was with my 5 year old nephew, waiting in line, to pay for the potato chips that my nephew wants. We were already waiting for almost 10 minutes when suddenly, these d*mb*sses decided to skip over the velvet rope and be the next one on queue. I called their attention. 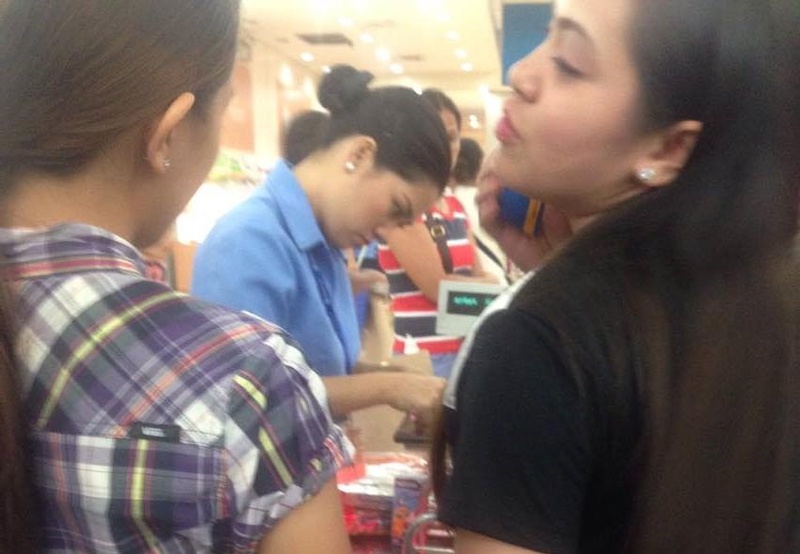 "Miss, dun yung dulo ng pila. Kanina pa kami naghihintay dito." They looked at me and replied, "Ah ganun ba? Eh di maghintay ka pa ng kaunti. We are in a hurry kasi eh." Those words made me lose my cool. "What the hell?! We are also in a hurry, Miss." And that b**tch in black even had the audacity to say, "Kuya, wag ka magmura. Naririnig nung bata." "It is so obvious that you didn't understand what I said. I don't argue with lower life forms, so go ahead and pay, then leave." "Sorry, but not sorry." That was the b**tch in black's response to what I said. And then karma decided to make things right. 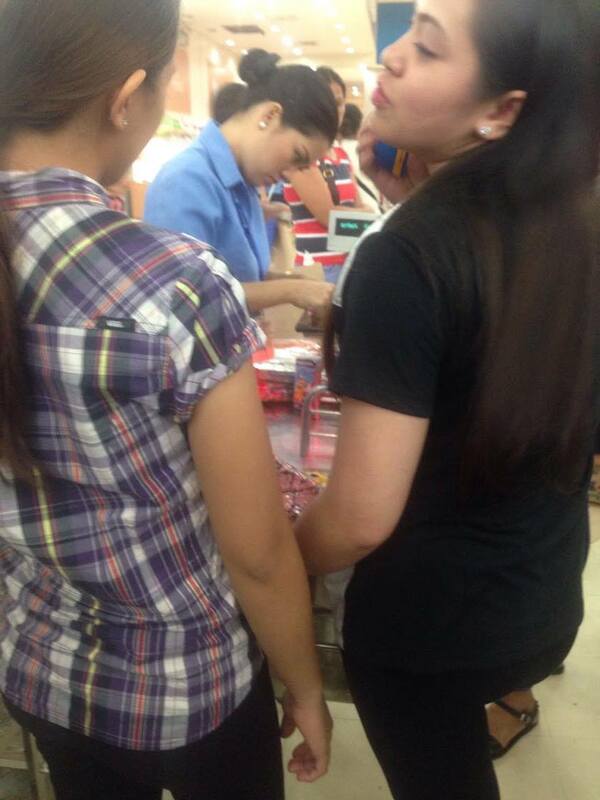 The total amount of the items that they PLANNED to buy was P100.65. The b**tch in black tried to use her debit card and it didn't work. They tried swiping it again but the machine was still unable to read the card. And to make things worse, they only have P80 total cash on hand. They decided to leave and the cashier smiled at me and said "Ang bilis ng karma, Sir. Nagalit yata tong machine sa kanila. Hahahaha!" THINK TWICE BEFORE ACTING LIKE A B**TCH. KARMA IS A BIGGER B**TCH AND SHE SPARES NO ONE.?#?InstantKarma?" You also made my day bro. Rommel Aguilar Buhay..